Lobster, like all shellfish, must be handled carefully as you prepare it. If it is overcooked, the flesh becomes tough, but if it is not cooked long enough, there is a risk for food poisoning. Reheating precooked lobster likewise needs a cautious touch. Never use the microwave for reheating lobster--there's a better way. 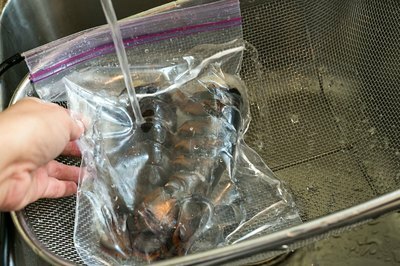 Thaw frozen lobsters by putting them into a bowl, covered overnight in the refrigerator, or put the frozen lobster into the zip top bag, seal, and run cold water over it for 30 minutes per pound. Preheat the broiler. Place the lobster with the meat facing up. Use the pastry brush to brush lemon juice and melted butter over the meat. 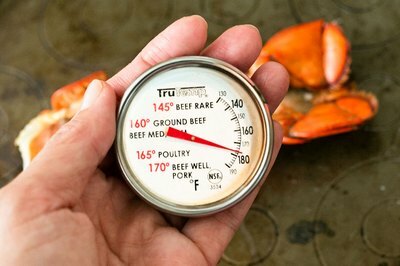 Broil the lobster 4 inches from the heating element until a meat thermometer inserted into the flesh registers 180 degrees. Reheat the lobster on the grill rather than broiling it. 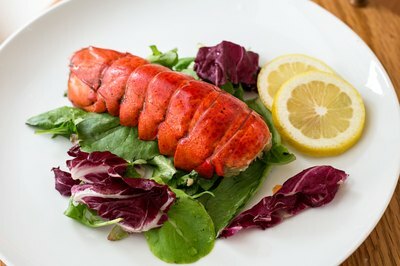 Brush the lobster with lemon and butter, and place the lobster on the grill over low heat with the meat facing toward the flame. 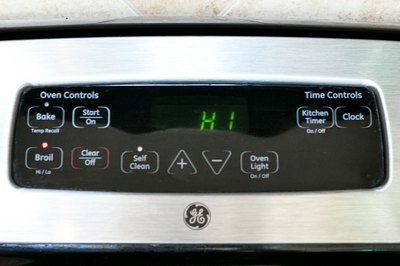 Cook until the internal temperature is 180 degrees. Reheat the lobster in the oven at 350 degrees. 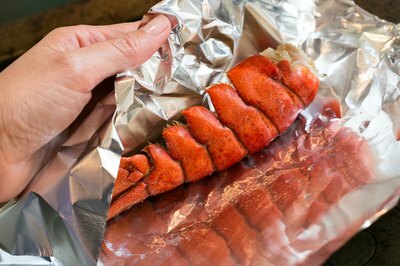 Begin by brushing it with butter and lemon juice, wrapping it in aluminum foil, placing the lobster in a baking pan and cooking it for 5 to 10 minutes until the internal temperature of the meat is 180 degrees.